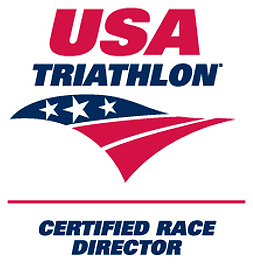 At this amazing week-long triathlon camp we train where the pros do. We run under the palm trees with Pacific breezes blowing against our backs in beautiful Waikoloa Village, we swim at Dig Me Beach in Kona and at Waikoloa Beach in the gorgeous, bright blue water of the Pacific Ocean, and we cycle the full World Championship course from Kona to Hawi over the span of the week. 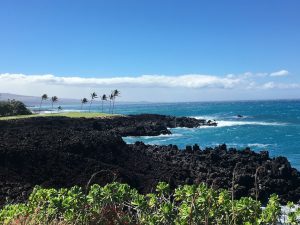 Classroom time may be held at Lava Lava Beach Club or poolside at Hali’i Kai Resort (base camp) or wherever the ocean breezes may be blowing the best. 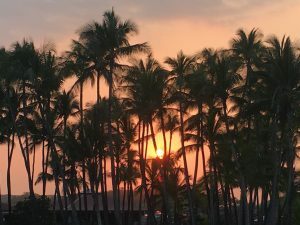 We chose Hali’i Kai Resort as base camp, because quite frankly, it doesn’t get much sweeter than this. 2 and 3 bedroom condo units make these the perfect place for a weeklong camp to share with family and friends, triathletes or not. 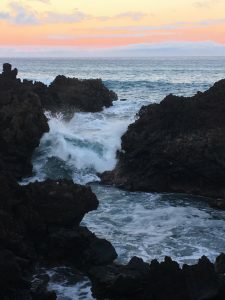 Oceanfront, with plenty of whale watching fun, fully stocked kitchens, washer/dryer, dishwasher, poolside restaurant and bar, live music and sunsets like you’ve never experienced will have you wishing camp was a month long instead of just a week. Video tape analysis of your run and swim techniques, which is standard at all Coach Mark Wilson camps, will allow you a peek into the secrets of running and swimming faster, more efficiently, and injury free for the rest of your life. 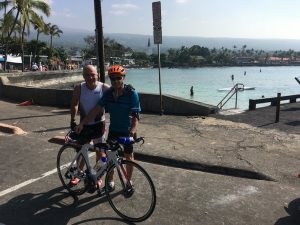 Bike rentals are made easy at Bike Works (Waikoloa) which is within walking distance of lodging in Waikoloa Village; where you will find grocery, boutique and tourist shops as well as restaurants. More great training in the POSE method of triathlon makes this a favorite camp of previous campers and a delight for first-timers. 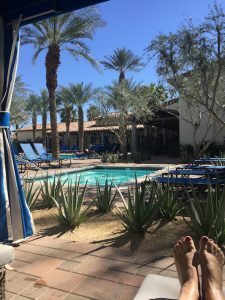 Here we use Legacy Villas at La Quinta for our home base. 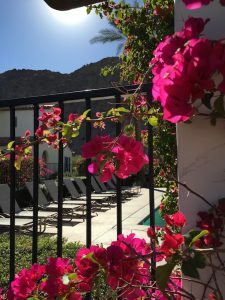 A perfect resort with multiple pools, a hammock garden, fountains and large, roomy condo units fully furnished with well stocked kitchens, washer/dryer, dishwasher, whirlpool tubs and fireplaces. And, we can probably talk Coach Mark in to making a delicious breakfast for everyone each morning after the run! Walk outside your condo and view the spectacular Santa Rosa Mountains and bright blue sky of Southern California. Ride your bike on secluded mountain side roads while everyone back home is using their trainer indoors. Perfect your swimming stroke in what is almost our own private lane pool under the palm trees and learn drills that you will use back home (Mark calls them “hills for swimming”). 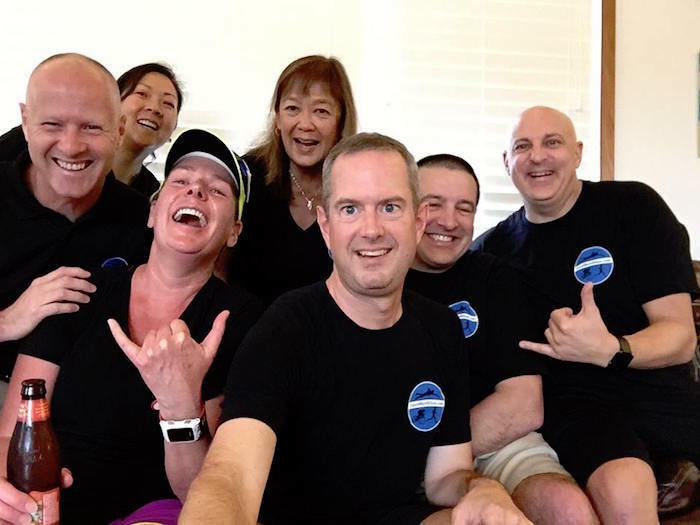 POSE method for triathlon is what is taught from an athlete that has been personally coached by Dr. Nicholas Romanov, creator of POSE. If you really want to be able to train for the rest of your life and remain injury free, this is the way to do just that. Instead of having to take time off and getting used to how the couch feels while injuries heal, learn how to move your body correctly so that never happens again. 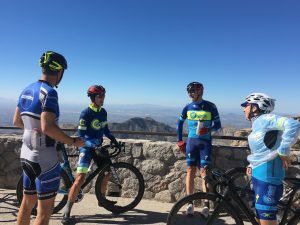 Ever heard of Mount Lemmon? This 28 mile mountain road that winds along saguaro cactus, hoodoos and snow covered pine trees that reach to the sky will take you 9,157 feet above sea level. 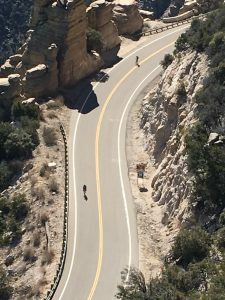 The 5% grade allows any level rider to manage this climb and with plentiful pull-offs and a SAG wagon to let you go as far as you’d like as well as have access to all of your cold/hot weather clothing. Descending this mountain road takes skill and proper instructions from those that have done it multiple times, making this the perfect way to be introduced to proper mountain climbing! And there will also be swimming and running instruction and application to make this a true triathlon experience like non other! We will be staying at a lovely, private B&B. More details can be provided when contacted. 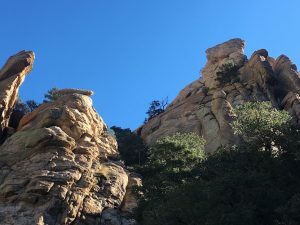 There are a variety of hotels and Airbnb accommodations near the base of Mount Lemmon. We will run in the Saguaro National Park and experience the diverse flora and fauna of this beautiful desert oasis. At any camp that you choose, (or all three if you take advantage of the Buy 2 Get 1 FREE offer) you will make friendships with other like-minded souls that will last a lifetime, cheering each other on in sport and in life. There is no judgment at camp whatsoever. From beginners to the sport up to multi ultra-distance competitors, you will find helpful, friendly tips and easy conversation that will make you so glad you came to camp. Group dinners, a few cocktails during classroom time, and learning and training together will be more fun than you bargained for. The gains you make in your skill level will be satisfying and rewarding; you won’t feel overwhelmed at an time during the week; a little tired out each night perhaps, but all in that good “I really accomplished something significant today” way. Training in and visiting these beautiful locations around this diverse and interesting country of ours will make it tempting to bring family along and make it a vacation; and by all means, please do! 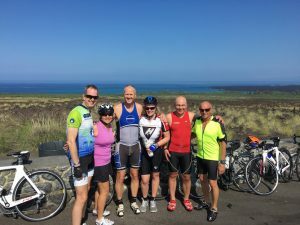 If you have been contemplating a triathlon camp at all, wondering how to make next year your PR year, or wanting to improve your swimming/cycling/running form, we know that you will love spending time with Coach Mark Wilson. It will be fun like summer camp used to be when you were a kid, only now you have adult size perks that come along with it. Give him a call today, what have you got to lose?